Myki, Victoria’s now three-year old public transport ticketing system has been the subject of public abuse and endless scrutiny since its roll out in 2013. Not only was it delivered seven years late and half a billion dollars over budget, but in 2014 the train body received over 190 complaints a day regarding Myki. 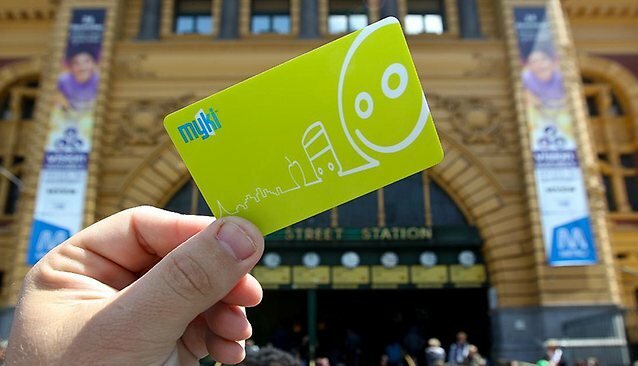 Myki was introduced to bring Melbourne’s ticketing system up to par with the smart card systems of London and Hong Kong. Hong Kong’s Octopus card for example is more than just a ticket to ride. It has grown to be used for payment in retail shops across Hong Kong, from convenience stores, supermarkets and restaurants through to parking meters, car parks, service stations and vending machines – a truly holistic smart card. While Octopus has not been without its problems, it initially cost $100 million to introduce, a negligible fraction of the $1.55 billion that myki has cost. Today, Myki can be used on trains, trams and buses – this does not represent a departure from its predecessor, which was not very dissimilar to the New York City subway’s ticketing system. Mind you, New York’s subway delivers over 1.75 billion rides a year, compared with Melbourne’s 120 odd million. This brings us to the question of human-centered design, or lack thereof, as it applies to Myki’s design and development. Whether the $1.55 billion could have been put to better use is one question. Given that the decision was made to invest in it – best efforts should have been made to ensure that end-user benefits were realized. Based on the ongoing complaints that the transport operator receives and various concessions made by the operator in light of these complaints, this did not appear to be the case. Steve Jobs famously said that “design is not just what it looks like and feels like - design is how it works”. This is essentially the premise underlying human-centered design, or design thinking. 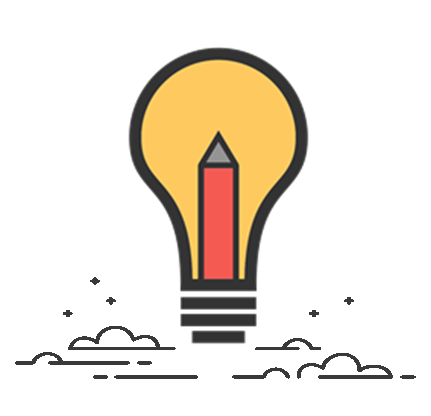 In its simplest form, design thinking is a process—applicable to all walks of life—supporting the creation of innovative ideas and solving problems that cut to the core of need and emotion. Design thinking follows a process of identifying and empathizing with the audience, thinking broadly, defining their challenges, identifying potential solutions, rapidly generating prototypes and testing them with real users to get obtain genuine feedback in order to iterate towards what wows, not just what (barely) works. Key tools in the design thinker’s toolbox are persona, customer journey and empathy mapping. Persona mapping essentially defines who the end user or customer is (note, this is not always the same person). Think demographics, key motivators and behaviors. Without first identifying for who you are designing, chances are the solutions you develop will fall short of the mark. Customer journey mapping is a visual representation of the end-to-end user story insofar as their relationship with an organization, product, system or service is concerned. It is used to tell a story of each and every individual touch point a user has and by doing this, facilitate the identification of potential pitfalls, emotional highs and lows and moments of truth – lasting impressions made on the user. Empathy mapping is essentially a study and definition of what users hear, see, think, feel, say and do. What pains are they looking to kill? What gains are they looking to create? Cohesively, these tools put product teams in a much better decision making position when it comes to the design and provision of products and services. If we revisit the problems that myki’s system face to this day, it’s clear that they forgot to design for the user. They forgot to design for tourists and irregular travelers, evident by the lack of single use or short term ticketing options. They forgot to design for customers using busy trams during the day, evident by people complaining of being fined for not able to touch on or over-charged for not being able to touch off. The CBD has since become a free tram zone costing the Government $100 million each year. Whether this move is related to the myki bungle or not is unclear. They forgot to design for people who board trams at suburban tram stops where many myki machines are either not present or limit top up to those commuters who happen to have a spare $7 or so worth of coins on hand. 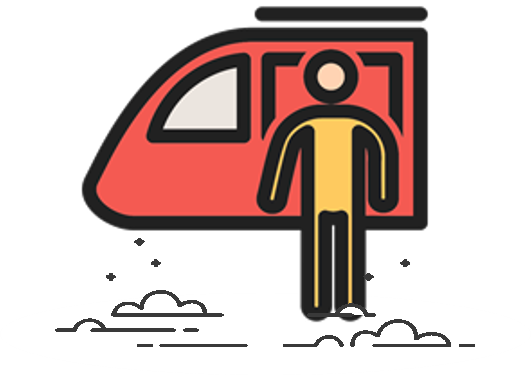 Consequently, honest people looking to get to work or to social outings have been fined for not being able to do the right thing or have looked for alternative methods of transport. They forgot to design for people catching a train on a busy peak hour platform. Topping up your myki card can be a painstakingly slow process, particularly if paying by card. This is best evidenced by the long queues at any suburban railway station, particularly on a Monday morning. The result? Missed trains, late arrivals to places of business and other commitments and ultimately disappointed users. I’ll now examine whether using the aforementioned design thinking tools could have helped to drive better outcomes for Victoria’s public transport using public. Note: I am simplifying the process for the sake of keeping this article as short and concise as possible and focusing on limited touch points. Design thinking is a skill that is essentially easy to understand but difficult to master and the ability to connect with the underlying emotions, motives and behaviors of people. Who travels on public transport? There will no doubt be variations for each of the above and it is important that each is identified so that certain cohorts are not underserved by the system, for example in myki’s case, tourists. I’ve offered a very scaled down persona map for an office worker. In most cases a persona map would extend to more detailed demographics, personality information and motivations. The job to be done essentially represents the underlying reason they catch the train. For example, we don’t go to school to sit in a class room and read. We go to school to learn and to help us get not only job ready, but functioning members of society. That is the underlying job to be done. If you fail to properly identify the user’s job to be done, you are likely to create a solution that misses the mark. If you ask the wrong question, you will get the wrong answer. Normally you would map a user’s entire journey from start to end and define every touch point along the way. For the purposes of this article I’ve honed in on two key touch points that Sarah would encounter during her daily exposure to Melbourne’s train system, assuming she is travelling into the city from the suburbs. I’ve only selected two customer touch points here and already we can see that two of the common complaints or grievances surrounding myki are being fleshed out early. Performing comprehensive customer and empathy journey mapping for a complete set of users will help to identify all touch points and hone in on design requirements that support the delivery of a solution that works, one that doesn’t leave people frustrated and disapproving. There are numerous other questions to be asked when it comes to myki. Why was an unproven vendor used? Why was a solution built from scratch when numerous successes already existed in other markets? Why was the system needed in the first place? But those questions are beyond the remit of this article. The purpose of this article is to demonstrate that whatever the product, service or system being developed, taking a human-centered approach can help to flesh out a lot of potential pitfalls and pain points that drive public perception. Connecting with the end user’s emotions and designing for them supports the delivery of a solution that not only satisfies, but also delights.